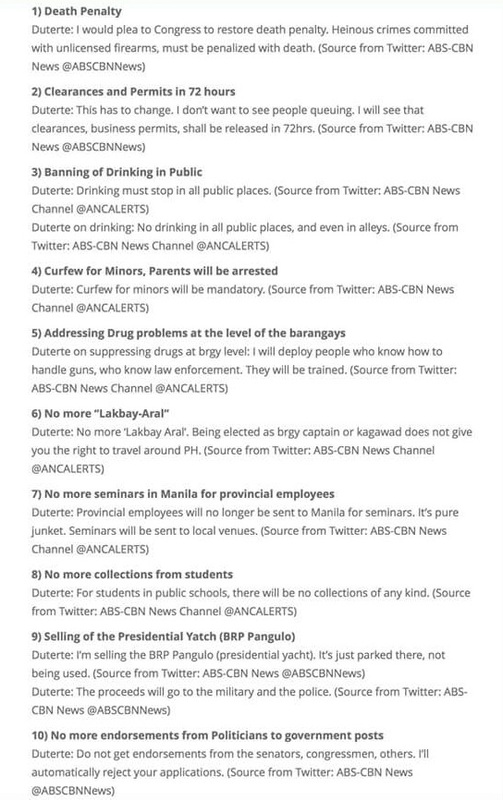 Are You In Favor of The 10 Basic Laws That Will Be Implemented In The Philippines By Duterte? After many issues about Mayor Rodrigo Duterte on how he strictly handles his city, of being characterized as a man with an iron hand, a tough-talking mayor and the Punisher. 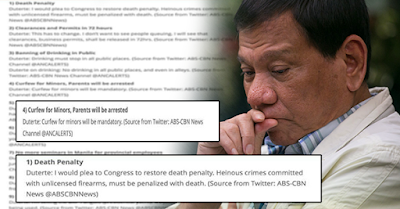 He has already announced laws that he will implement once he is formally seated as the president of the Philippines. He announced these laws during his meeting with foreign dignitaries and members of the diplomatic corps at the Hotel Elena in Davao City last Monday. According to him, whatever laws he implemented in Davao City will also be implemented all over the country. The people of the Philippines are hoping for the change that Duterte will bring. Are you in favor of these laws? Let me hear from you. Write your comments below.